It’s safe to say that there is no purchase more important than your baby’s car seat. 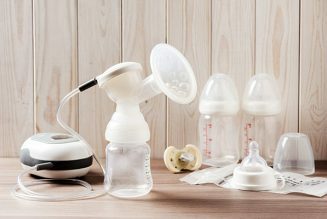 If you are a mommy-to-be, you probably have already covered every sharp edge in your home and have installed more safety latches on your cabinets and drawers than you can count. At the end of the day, no safety measure that you take for your baby is as crucial as choosing the perfect car seat. With so many products on the market, all offering different features and claiming to be “the best,” we understand how overwhelming this purchase can be – especially for first-timers. That is why we are narrowing down the top baby car seats of 2019 and what the other moms are saying about them. But before we get into that, we’re going to back up a bit and go over some of the basic information you need to know before purchasing your car seat. Let’s take it from the top: day one of leaving the hospital with your new beautiful baby. While the laws on baby car seat safety may vary slightly depending on which state you live in, you are required to have a car seat if you wish to take your baby home from the hospital in a car. Nation-wide safety regulations state that babies must ride in a car seat until they are at least 7 years old and most states now require children to use booster seats until they are at least 60 pounds. Regardless of the car seat you select, you can rest assured that all car seats currently on the market meet the U.S. government’s standards. This means that any car seat you purchase is designed to meet safety standards and keep your little one safe in the event of an accident. There are countless car seat products for you to choose from, but they typically all fall under three categories. The three basic types of car seats are baby car seats, convertible car seats, and belt-positioning booster seats. Baby car seats always face the rear of the vehicle and have a weight limit of between 22 and 35 pounds. Convertible car seats can face both the rear or the front, depending on the child’s age. These car seats are typically designed to hold a child of up to 40 pounds when rear-facing and up to 70 pounds forward-facing. The booster seat is intended for children who have outgrown the convertible seat but are not yet big enough to be without the additional support. 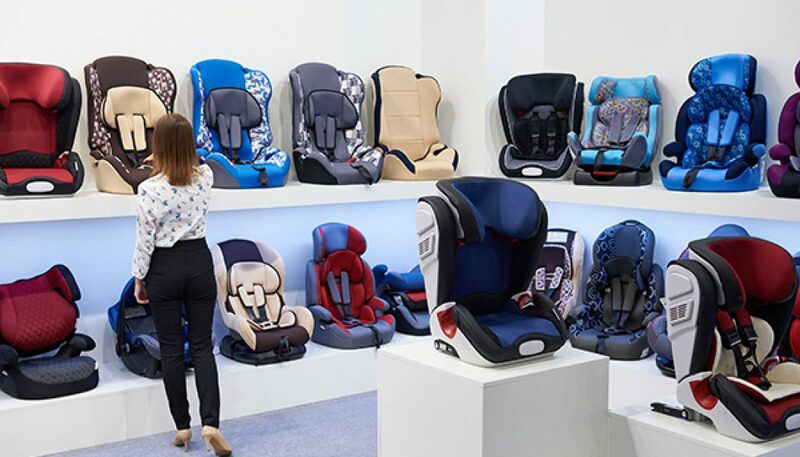 Now that you have a bit of background information on the safety regulations and the different types of seats out there – both for the car and the dinner table – let’s dive into the top baby car seats of 2019 and what other moms are saying about them! They don’t call it the #1-rated infant car seat in America for nothing! This baby car seat is easy to install with a Recline Sure levelling foot and Ride Right bubble level indicators. It offers removable newborn head and body supports and is intended for infants from 4 to 30 pounds and 30 inches in height. 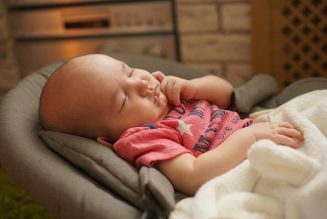 The carrier’s foam design keeps your baby safe with its ability to absorb energy from an impact. 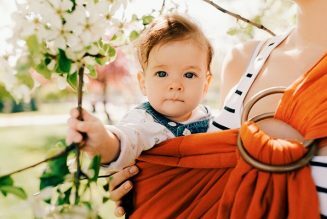 The five-point harness keeps your baby in place and the canopy blocks the sun, keeping your baby comfortable at all times. This car seat’s dimensions are 17” x 27.5” x 24” with a weight of 17 pounds. Although this seat may be too large for those with smaller vehicles, it is an amazing infant car seat and will provide your baby with the utmost comfort and safety. Are you the proud owner of smaller car? Then this car seat may be the one for you! Its narrow design makes it ideal for many small vehicles. As you can see from its name, this seat is actually a convertible car seat, not an infant car seat. The Air Protect cushioning system keeps your child safe, while the seat’s structure protects against side impacts. The straps boast various adjustment settings so that you can cater to your child’s individual build and size. Another awesome feature of this seat is the fabric that is designed to channel away heat and moisture, keeping your baby comfortable. And speaking of fabric, it is also machine washable and is dryer-friendly! The dimensions for this seat are 21.2” x 22.8” x 29.5” and the weight is 18.4 pounds. Discover for yourself why other moms are obsessed with this car seat! For those nervous first-time moms out there, this one is for you! The True Lock safety system built into this car seat uses color-coded indicators that tell you if you’ve properly installed it. There is also a fold-down stability leg designed to absorb impact from an accident. The “dream drape” is perfect for covering your baby while he or she enjoys a nap in the car. This infant car seat’s dimensions are 22.6” x 17” x 26.5”, weighing 8 pounds without the base and 21.4 pounds with the base. You will love the user-friendly features that this convertible car seat boasts with its easy installation. Simply remove the front part, strap the seatbelt over the back, and put the front part back again. When you hear the ‘click’ that the Click & Safe feature includes, you know that your baby is properly in place and you’re ready to hit the road! 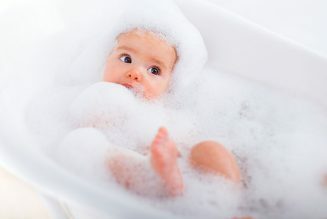 Rest assured that your baby is protected by the multiple layers of padding. The SafeCell Impact Protection includes a metal framework, an energy absorbing base, and staged release switches that limit forward movement upon impact. And don’t let the weight deceive you! It may be heavier than other seats, but it’s actually smaller in size, making it perfect for small cars. The dimensions are 18.5” x 23” x 23” with a weight of 24 pounds. Calling all small babies! This infant car seat’s design is wonderful for small infants, including preemies. Its lightweight, smaller design makes travel and installation quite easy. Since spit-ups and dirty diapers are inevitable, the designers made the fabric washable to make your life just a little bit easier. This seat boasts a patented AP (Air Protect) technology in its cushion system, designed to protect your baby’s head. The five-point harness keeps your baby snug and in place, but also comfortable at all times. The dimensions are 18” x 16.5” x 31” and the weight is 18.8 pounds. Although this seat is not intended for long-term use, it offers many amazing features for preemies and babies on the smaller side. “Great car seat, bought again. Kept my daughter safe from side impact car accident.” – Nicolas & Lily H.
This highly-rated infant car seat is complete with wonderful easy installation features to make traveling with your newborn a breeze! You won’t have to wonder if the seat is correctly installed due to the level indicator feature and the ‘click’ sound. The InRight LATCH method takes only seconds to install so that you can be on your way in no time. The seat offers four different recline positions for your baby’s comfort and the canopy rotates so that you can adjust it to block out the sun. The seat’s SafetyCore technology is designed to absorb any impact shock to keep your baby safe. The dimensions are 29.1” x 18.3” x 16.2” and the weight is 18.8 pounds. This is one of the lightest seats on the market so you don’t need to break a sweat when getting from point A to point B with your little one. This infant car seat is designed to cater to both your baby’s comfort, as well as yours. 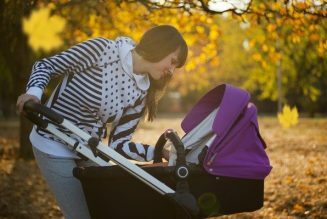 Moms love the comfortable scratch-resistant handle for carrying their baby to and from the vehicle. The easy-to-use qualities include a one-hand adjustable harness and an adjustable height feature that operates with a simple push of a button. The seat’s narrow design makes it perfect for smaller vehicles. The safety harness keeps your baby securely in place and the EPS energy absorbing foam minimizes the impact surrounding your baby’s head. The dimensions include 16.5” x 26” x 25” and it weighs 18.74 pounds. From its bright colors that are sure to capture your child’s attention to its lightweight for easy carrying, this car seat offers wonderful features! 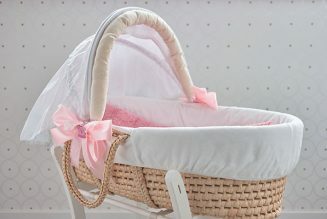 The structure is perfect for newborns, keeping them secure but comfortable. The adjustable load leg prevents the seat from rotating in the event of an accident and protects your child’s spine. The L.S.P. System absorbs any side impact and the entire shell absorbs shock from potential collisions. The dimensions are 17” x 18” x 26.25” and the weight is only 9 pounds. Although small in size, this car seat’s power is not to be underestimated! Compared to other infant car seats that are similar in design, this one is much easier to carry with its lighter weight. The color-coded belt straps make for easy installation. The base stays in the car so that you don’t have to install the entire unit every time you and your baby need to take a trip. This seat is perfect for small babies with its baby neck and bottom support. It also includes adjustable support units for when your baby grows. In the event of an accident, the anti-rebound bar reduces the amount of movement and the five-point harness keeps your baby in place. The dimensions are 25.9” x 17” x 23.9” and the weight is 17 pounds. Last but certainly not least, this car seat boasts incredibly easy and safe features. But don’t just take our word for it! The National Highway Transportation Safety Administration awarded this car seat a 5-star ease-of-use rating. Simply clip the latch connectors and push the base down with your body weight to secure it. This seat also includes an adjustable no-rethread headrest to cater to your baby as he or she grows. This award-winning car seat offers incredible side impact protection and is flame resistant. It weighs 9.9 pounds and is intended for children between 4 and 35 pounds and up to 32” in height. There you have it: the top baby car seats of 2019. All of these car seats offer wonderful benefits and features to get your baby to and from your destination safely. Remember that just as every baby is different, so is every car seat. Choose the one that meets your specific needs and learn how to properly install it. After that, you and your little one are ready to hit the road!